This week on the podcast, we’re chatting to Ruaridh Cunningham from the Trek Factory Enduro team. 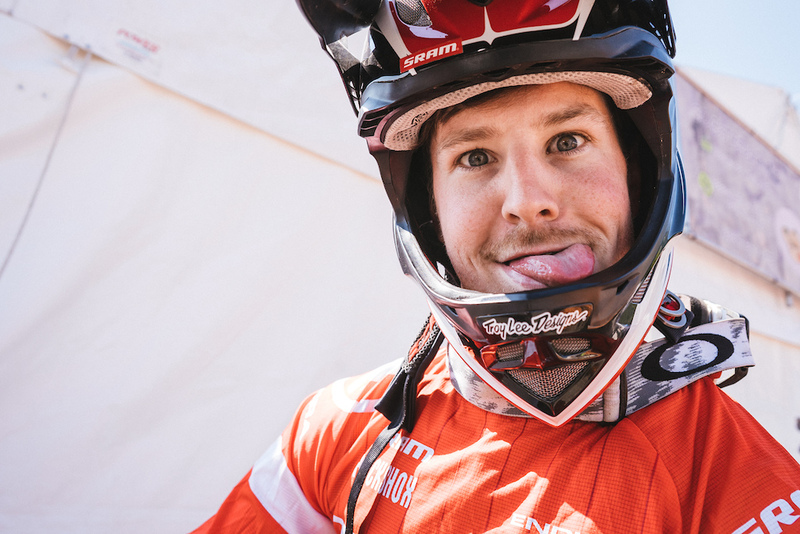 We talk about his background in downhill racing, how he’s overcome some pretty serious injuries, his transition to EWS, the amazing wheel that just about survived Ainsa, and some great insight from his time as a coach. There is a lot to learn from Ruaridh, so sit back, hit play and give it a listen. Remember sharing a gondola with him at Fort Bill, he said, just send it, don't hang around. Next thing i went over the bars. Fort Bill is not an easy track but enjoyed it all the same. Thanks Pinkbike... I hope people enjoy listening to this, I was amazed what Ruaridh has been through, and I definitely learned a fair bit from chatting to him! One of your best episodes to date! @MikeyMT: thanks, I'm glad you enjoyed it! Another great podcast. I was in the crowd at Fort William in 2007 when he won the juniors and I can still remember the noise as he finished his run and crossed the line. It was like a Peaty run. @Pablo16v I wish I'd been there, I bet the atmosphere was insane! @downtimepodcast that was an awesome listen. It is a pretty crazy story Ruaridh has to tell. Thanks @RustyMac, it's impressive what he's soldiered through eh! I have seen him a few times up at Golfie. Also follow him on Strava. The man is fast! He was the first British male DH world champ, wasn't he? I was expecting to see much more from him in the mean time though I was happy to see him win the Hardline. Curious what happened in the mean time though. Maybe I'll give this one a listen sometime. He sure is @drjonnywonderboy, I can't wait to see what he can do at the EWS this season. @vinay: I'd highly recommend it, he has a great story to tell, and some good wisdom to offer... there is some stuff in this episode that I've already started to put into practice and can feel the difference in my speed. @Craigatdescentworld: It must have been '06 then. I recall Josh' win was documented in Earted 5, which covered the 2007 season. Didn't Nigel Page win it that same year in masters category? Not sure if he eventually got to keep it but initially at least he won it. Obviously Gee won the senior worlds in 2008 and Peaty in 2009. Once these Brits started winning stuff, it was more or less expected they'd at least pick up a couple of medals each race. @happychappy79 Thanks mate, that means a lot... I'll do my best! Wow! Hey look ma, I got mentioned on Downtime Podcast! ha ha... that was some serious forum effort you put into that tune @mtbikeaddict !! Thanks @Jed23 I'm glad you enjoyed it! Good podcast with Roy @downtimepodcast Another great insight. thanks @mentalaboutbikes, I'm glad you enjoyed listening!